Cycling Plus Best Buy September 2004. "Tough, versatile, elegant and easy to hitch, the Y-Frame packs a big punch for its size." The Y-Frame A clever simple bicycle trailer. A simple durable Aluminium frame, with a tough plywood load bed. Carry anything, adapt luggage to 'Quick Release' to it. Separate its parts in seconds, for easy storage. 6064 T6 aluminium frame with 12mm plywood loadbed. Aluminium rims and hubs with stainless steel spokes. 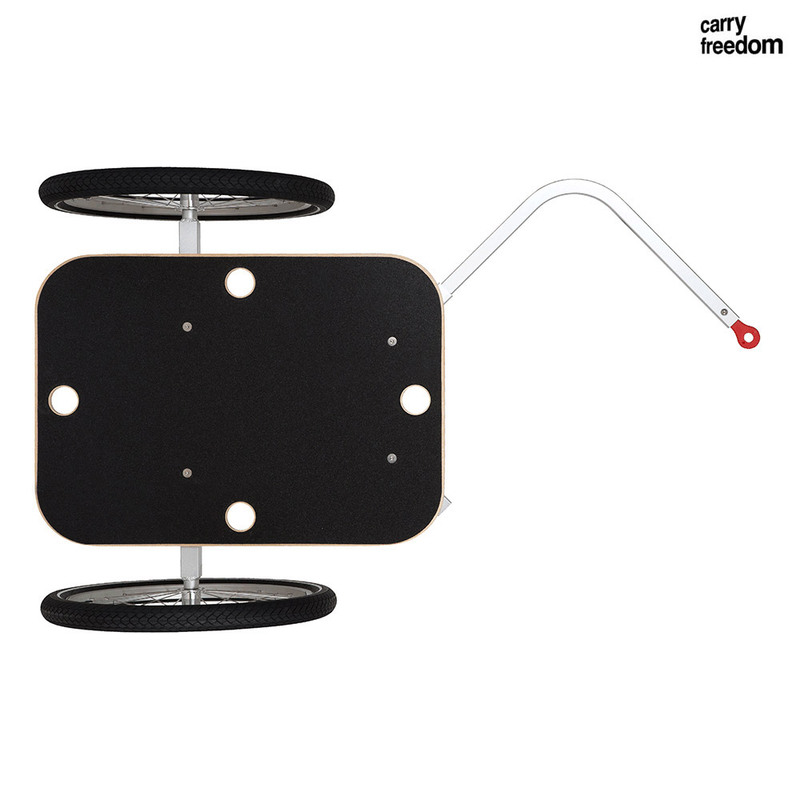 We don't currently stock any of Carry Freedoms spares but we are able to order them if you need. Please email ed@sjscycles.com if you are looking to order a specific part. Does the trailer come complete with an attachment for the towing bicycle or is that extra? Are there any pictures of the tow hook? Yes the trailer comes with all the attachments required for fitting to your bike. The tow hook just fits behind the quick release skewer.